Travis Smith’s impressive carving, ‘Tu es le vent dans mes voiles’ was featured in the woodcarving column of the October, 2011 issue of Wood News. 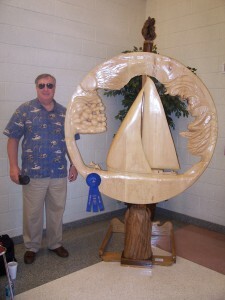 He has since updated us that the carving won First Place in the Fine Arts division at the National Fair! Travis says the carving is now in the fourth floor reception area of the new Georgia Health Sciences University College of Dental Medicine building in Augusta, GA. 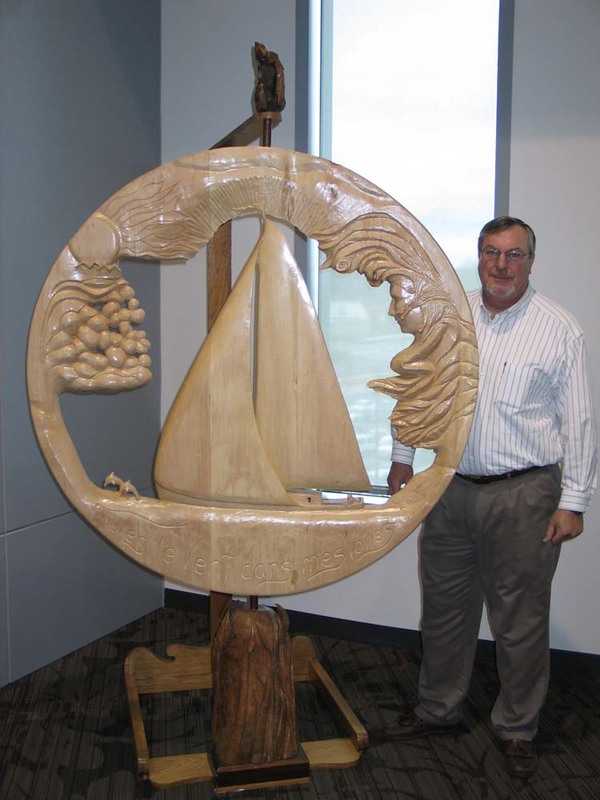 If you are in the area, Travis invites you to drop by to see it in person!